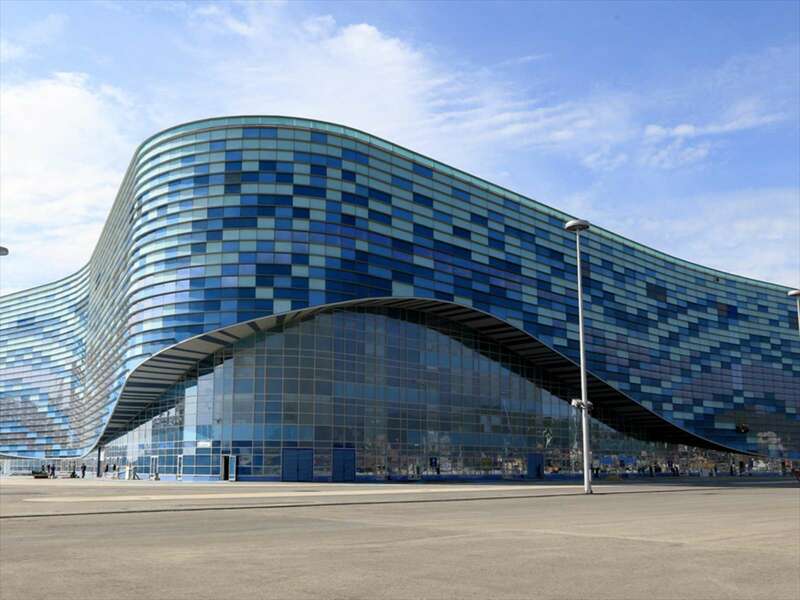 The Olympic Skating Center plays a crucial role in the Sochi 2014 concept. 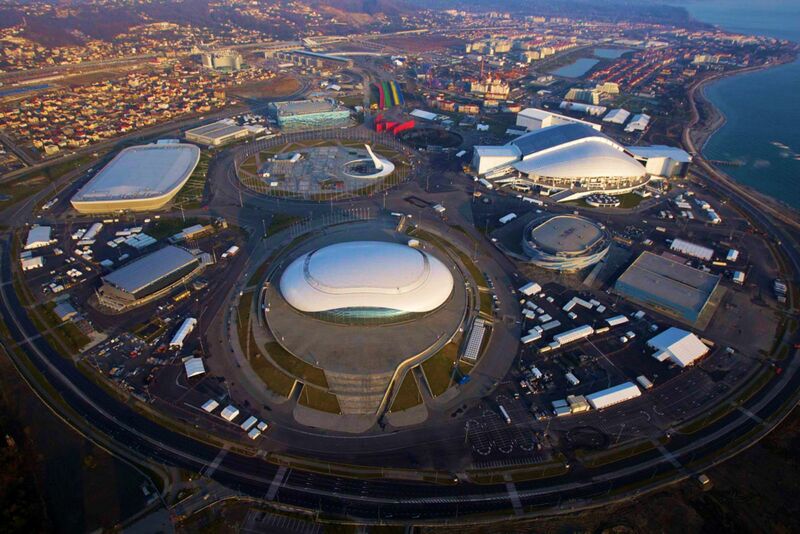 The Olympic Skating Center is a moveable venue. 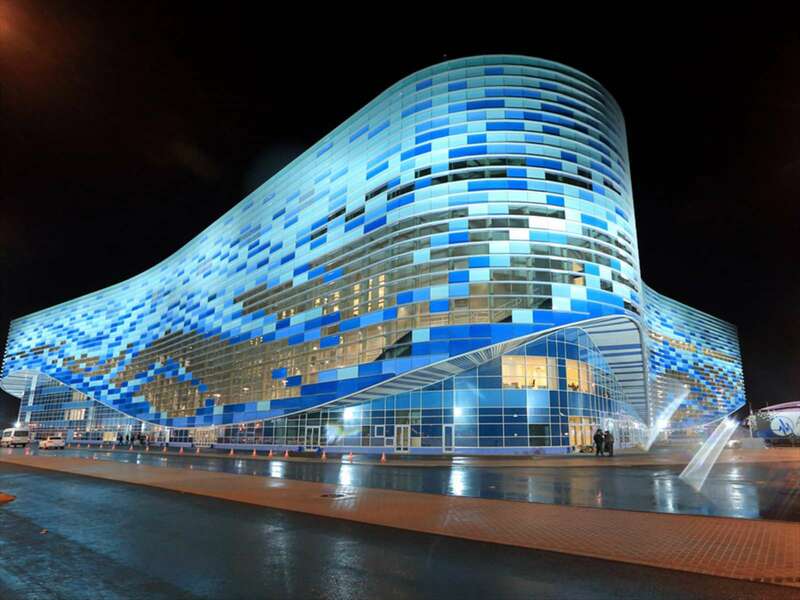 As such, it is located at the heart of the Coastal Cluster – Olympic Park. 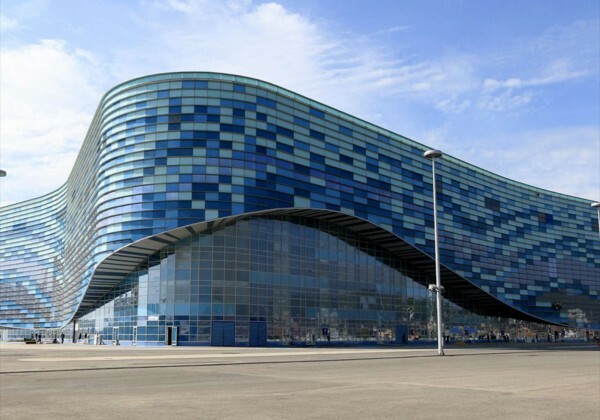 The Olympic Skating Center is a moveable venue, making it possible to be dismantled and transported for post-Games use as a skating center in another Russian city.The name evokes associations with the architectural shapes of the venue. 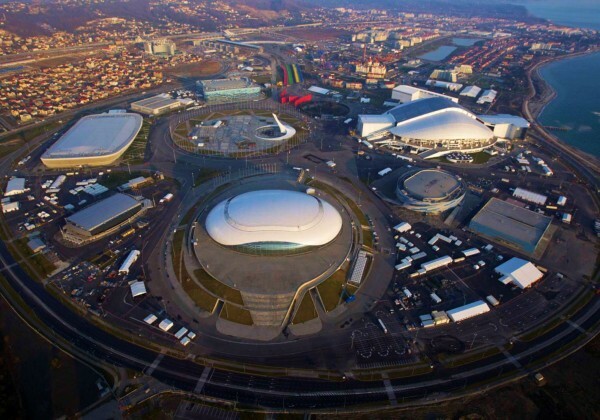 It is an international word and sounds the same in a number of language including Russian, English and German. Audience seats are designed in two tiers. 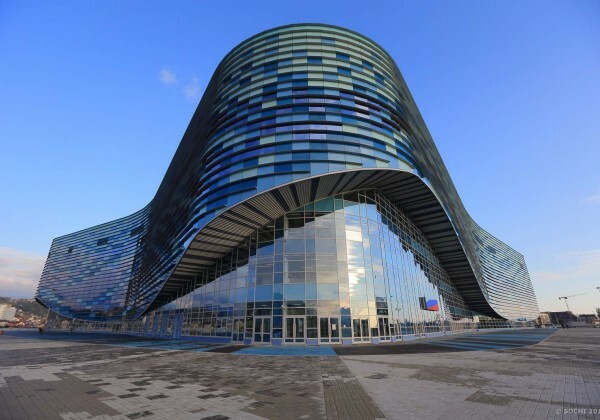 Placed between the tiers lie level VIR For the convenience of visitors and reduce the time of loading and unloading of the Ice Palace, the foyer of the first and second tiers of the stands, connected by galleries around the perimeter of the building and stairs.On the outside, these internal stairs rise to the construction of the facade and in their places of recovery emphasize inputs viewers. 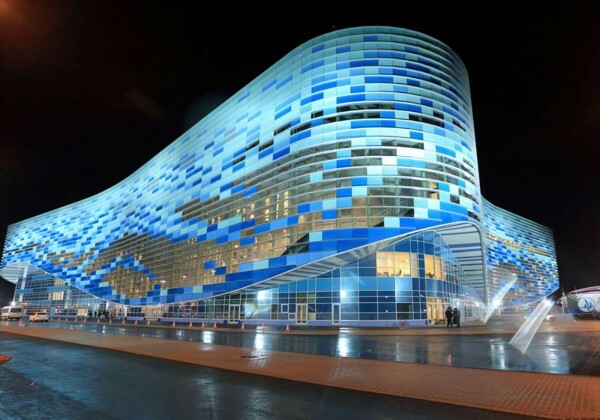 Figure interlocking waves formed on the facade of glass and sandwich panels, painted in several shades of blue , designed to combine the palace with the silhouettes of the surrounding mountains and the waves of the Black Sea.